The Mt. 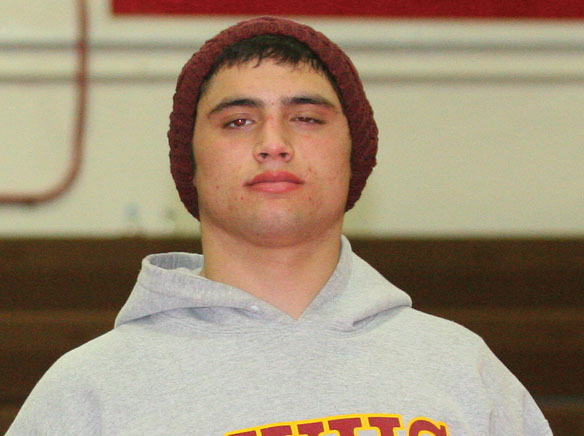 Miguel Matadors led all East County teams with two individual weight class champions at last Saturday’s 16-team Monte Vista Invitational wrestling tournament. Miracle Tausaga captured the 220-pound title and Josh Tausaga won the 285-pound heavyweight championship. Mt. Miguel coach Vic Richmond said the goal for the two Matadors is a berth in the California state championship tournament to cap the 2012-13 season. “Both of them are real keen on winning Masters,” Richmond said. That would be the San Diego Section state-qualifying tournament. Josh Tausaga finished fourth at last year’s San Diego Masters while Miracle was seventh. The top three place-winners in each of 14 weight classes at Masters advance to the state meet. Both Matador upper weights improved to 5-0 after their first tournament competition of the season. Offseason competition in state and national-level USA Wrestling events has obviously paid dividends. Miracle Tausaga recorded two pins and a 3-0 upset decision over West Hills Abdiel Meza in the championship match; Josh Tausaga scored a 51-second pin in the semifinals before defeating Monte Vista’s Messai Small, 5-2, in the title bout. 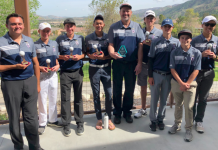 The tourney-host Monarchs led East County mat programs with a second-place team finish at this year’s Monte Vista Invitational. The Monarchs roared loudest with seven medalists, including four finalists, among them 170-pound champion Jose Serrano, who earned double honors as the tournament’s outstanding upper weight wrestler. Granite Hills, led by 160-pound champion Sage Espinoza, finished sixth in the team standings. West Hills, braced by four finalists, finished eighth. Mt. Miguel was 10th while Helix was 11th. 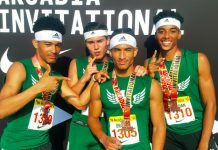 Poway captured the overall team title with 193 points — 50 points in front of Monte Vista. Monte Vista’s three second-place medalists included Juan Velarde (138), Glenn Littlepage (182) and Small. West Hills’ four finalists included Mavrick Mooneyham (113), John Lancaster (126), Angel Sandoval (195) and Meza. Granite Hills’ Leo Valencia finished runner-up at 170 pounds.